Barnett, V. Alexei Jawlensky. München, DE: Prestel, 2017. Marlow, T., Milner, J., Murray, N., Dumas, A., Bray, R., Gullström, B., Hissey, A., et al., Revolution: Russian Art, 1917-1932. London, UK: Royal Academy of Arts, 2017. Milde, B. & Mossinger, I. Revolutionary! : Russian Avant-Garde Art from the Vladimir Tsarenkov Collection. Dresden, DE: Sandstein Verlag, 2017. Nakov, A. The Advent of Abstraction: Russia, 1914-1923: Art of the Russian Avant-Garde. Milan, IT: 5 Continents, 2017. Ovsyannikova, E., Vassiliev, N. Boris Velikovsky, 1878-1937: Architects of the Russian Avant-Garde. Stuttgart, DE: Arnoldsche, 2017. Sirotkina, I., & Smith, R. The Sixth Sense of the Avant-Garde: Dance, Kinaesthesia and the Arts in Revolutionary Russia. London, UK: Bloomsbury Methuen Drama, 2017. Dubuisson, E. Living Language in Kazakhstan: The Dialogic Emergence of an Ancestral Worldview. Pittsburgh, PA: University of Pittsburgh Press, 2017. Mostowlansky, T. Azan on the Moon: Entangling Modernity along Tajikistan’s Pamir Highway. Pittsburgh, PA: University of Pittsburgh Press, 2017. Cameron, S. The Bond of the Furthest Apart: Essays on Tolstoy, Dostoevsky, Bresson, and Kafka. Chicago, IL: University of Chicago Press, 2017. Finkin, J. Exile As Home The Cosmopolitan Poetics of Leyb Naydus. Pittsburgh, PA: Hebrew Union College Press (University of Pittsburgh), 2017. Patyk, L. Written in Blood: Revolutionary Terrorism and Russian Literary Culture, 1861–1881. Madison, WI: University of Wisconsin Press, 2017. 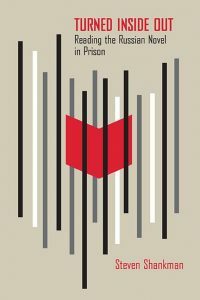 Shankman, S. Turned inside out: reading the Russian novel in prison. Evanston, IL: Northwestern University Press, 2017. Frary, Lucien J., ed. Thresholds into the Orthodox Commonwealth: Essays in Honor of Theophanis G. Stavrou. Bloomington, IN: Slavica (Indiana University Press), 2017. Jones, R. Bread Upon the Waters: the St. Petersburg Grain Trade and the Russian Economy, 1703-1811. Pittsburgh, PA: University of Pittsburgh Press, 2017. Mullek, M., & Sherwood, J., eds. 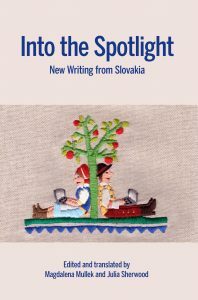 Into the Spotlight: New Writing from Slovakia. Bloomington, IN: Slavica Publishers (Indiana University Press), 2017. Ali, T. The Dilemmas of Lenin: Terrorism, War, Empire, Love, Revolution. London, UK: Verso, 2017. Altstadt, A. 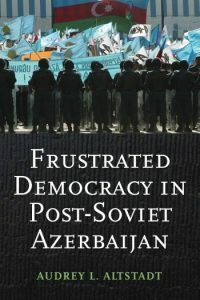 Frustrated Democracy in Post-Soviet Azerbaijan. New York, NY: Columbia University Press. 2017. Heathershaw, J. & Schatz, E. Paradox of Power: The Logics of State Weakness in Eurasia. Pittsburgh, PA: University of Pittsburgh Press, 2017. Megoran, N. Nationalism in Central Asia: A Biography of the Uzbekistan-Kyrgyzstan Boundary. Pittsburgh, PA: University of Pittsburgh Press, 2017.